Enjoy immediate results after one treatment of laser whitening. 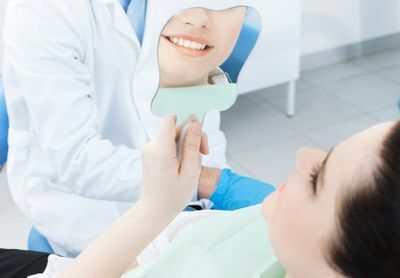 Our trained technicians use laser technology to brighten smiles by 2-8 shades in a method that is safe for gums, will not damage enamel and will not result in sensitivity. RWC uses a solution activated by a blue light that safely lifts the stains rather than bleaching to an unnatural state. Regular bleaching can break down your teeth’s enamel causing sensitivity.